Only 5 percent of respondents identifying as IT managers said they have an open Wi-Fi network without password protection. Thirty-nine percent put users and guests on separate networks, ensuring that visitors can’t access corporate assets, and another 12 percent use network access control to prevent insecure systems from connecting to the network. One-quarter password-protect the network before sharing it with visitors. Surprisingly, however, 17 percent said they don’t allow guest access at all. It was also surprising that 10 percent of respondents to our poll for business managers reported having no Wi-Fi service at all. Half, however, said they were happy with their current configuration. A smaller yet significant group, 31 percent, said their Wi-Fi needs improvement. 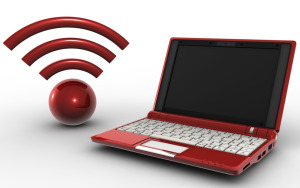 If your wireless network either needs improvement or hasn't been established yet, consider the new security features available with new Wi-Fi access points. These allow you to create separate guest networks along with other useful features, such as quality of service (Qos), higher speeds, and greater coverage areas. Since the new access points also support older versions of the Wi-Fi protocol, there’s no reason not to upgrade, and at $100 or so per device, it's affordable. One hundred and two people took the poll for IT managers, and 74 took the business managers poll.